Chad Hinshaw played collegiately at Illinois State where he was a four-year starter and became a two-time MVC first team defensive player. 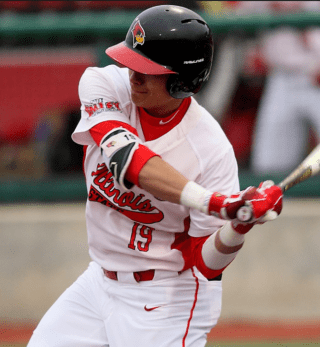 While at Illinois State, Hinshaw was error-free until his senior year and started every game in center field. Hinshaw was 15th Round Draft by the LA Angels in 2013. He competed in the Arizona Fall League twice and was once named the Angels’ #15 top MiLB Prospect list. The 2014 All-Star touts a 6.4 60yd dash, helping him swipe 113 bags in 442 career games. Chad reached as high as AAA with the Miami Marlins before retiring from professional baseball. Chad is a High School graduate from Normal Community HS and was once named ISU’s Male Scholar-Athlete of the Year.